Hey there! Do you ever come home from work starving? The last thing you want to do is spend half an hour or more waiting for food to cook… On those days, this meal is for you! 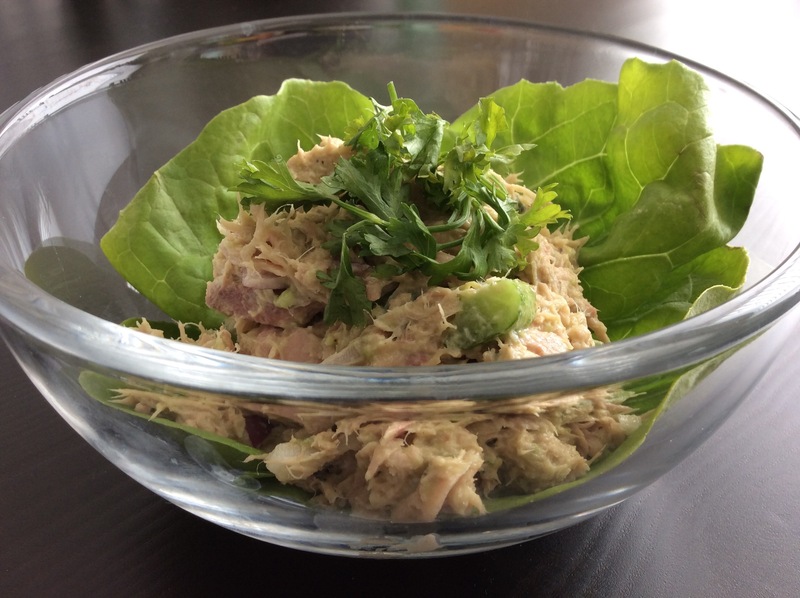 You probably have most of the ingredients on hand and this tuna salad is not only easy, but also delicious and healthy. The avocado lends creaminess so you can cut back on the amount of mayonnaise you may typically use in a tuna salad. 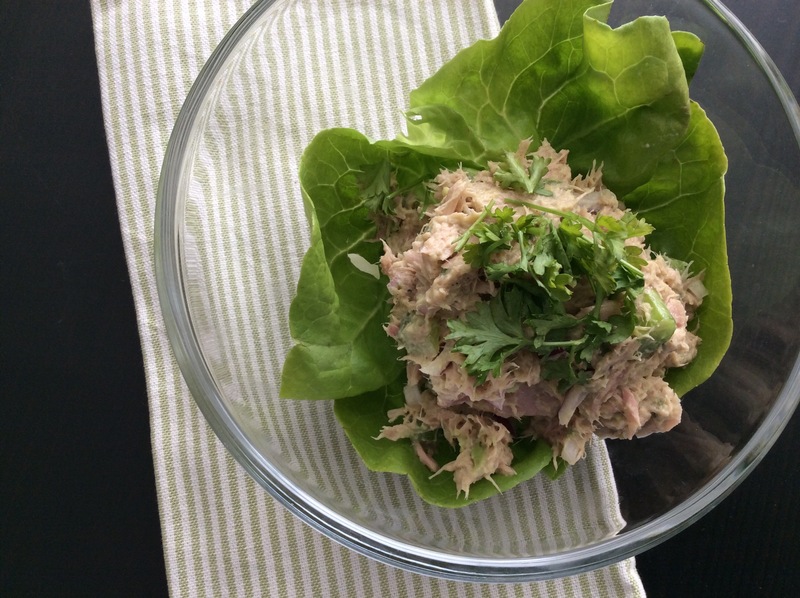 Avocado’s fiber and healthy fats along with the protein in the tuna will keep you full for a few hours until your next meal. Whip this up in 5 minutes or less! 1. Combine all the ingredients in a large bowl and mash together with a fork until well blended. Serve on toasted whole wheat bread, wedges of fresh pell pepper, or in leaves of butter lettuce.